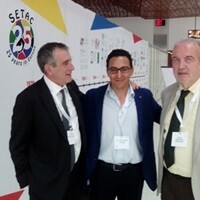 The Prince Sultan Bin Abdulaziz International Prize for Water hosted an event showcasing three of its prizewinners at the 25th annual meeting of the Society of Environmental Toxicology and Chemistry (SETAC). 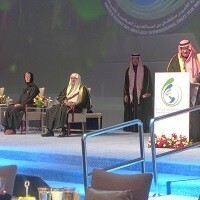 PSIPW Council Chairman HRH Prince Khalid bin Sultan bin Abdulaziz, in his capacity as the honorary President of the Arab Water Council, opened the 3rd Arab Water Forum on Tuesday, 9 December 2014 with the theme "Together Towards a Secure Water Future for Arab Countries". 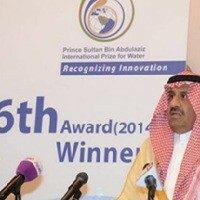 HRH Prince Khaled Bin Sultan Bin Abdulaziz announced the winners of PSIPW's 6th Award (2014) during the Prize Council meeting convened in Riyadh on 12 October 2014. Prize Council Chairman HRH Prince Khaled Bin Abdulaziz Al Saud announced that PSIPW will encourage innovative water research and applied science through a program of generous grants.